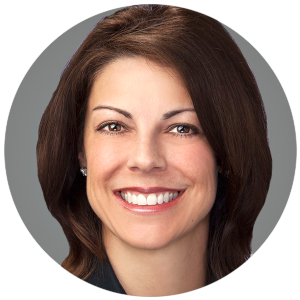 Laurie Baker is Senior Vice President of Fund and Asset Management for Camden Property Trust. Baker is responsible for the creation, marketing, and administration of Camden’s first investment funds, which has $1.2 billion in assets. She is also a member of Camden’s investment committee and is responsible for leading the organization’s pricing and revenue strategies. During her 20-year tenure with Camden, Baker has held several positions. As Regional Vice President, she was responsible for managing over 10,000 apartment homes in Texas. As Vice President of Property Services, she was responsible for building complimentary technology strategies to enhance revenues and decrease expenditures. She served as the executive sponsor for Camden’s technology initiative, which included managing several technology investments and the rollout of Camden’s web-based property management software, revenue management, and an online procurement system. She serves on the Board of Directors Executive Committee for the National Multifamily Housing Council (NMHC), is a member of ULI’s Multifamily Bronze Council, and a frequent speaker in the multifamily industry. Baker was the 2016 President of CREW Network, a Past President for CREW Houston and in 2012 was honored as one of the Top 15 Women in Commercial Real Estate. She is a licensed real estate broker in the state of Texas and was recognized by Real Estate Forum as a Women of Influence in 2014, 2015 and 2016.